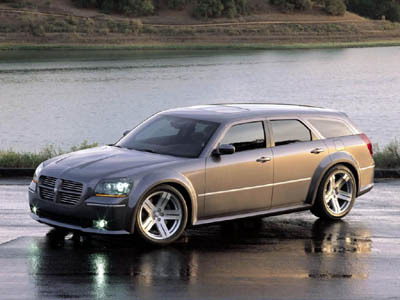 "Dodge Magnum is bold, powerful, street-smart and full of life," said Darryl Jackson, Vice President, Dodge Marketing, Chrysler Group. 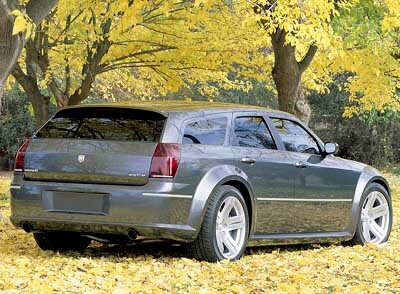 "With a 425-horsepower 6.1-liter HEMI engine up front, and 71.6 square feet of cargo space in the rear, the 2006 Dodge Magnum SRT8 hauls in more ways than one. The exterior of is striking with its raised beltline and roofline pulled down tautly around the windows. SRT stylists made functional improvements that resonate with the Dodge brands character and contribute to performance."